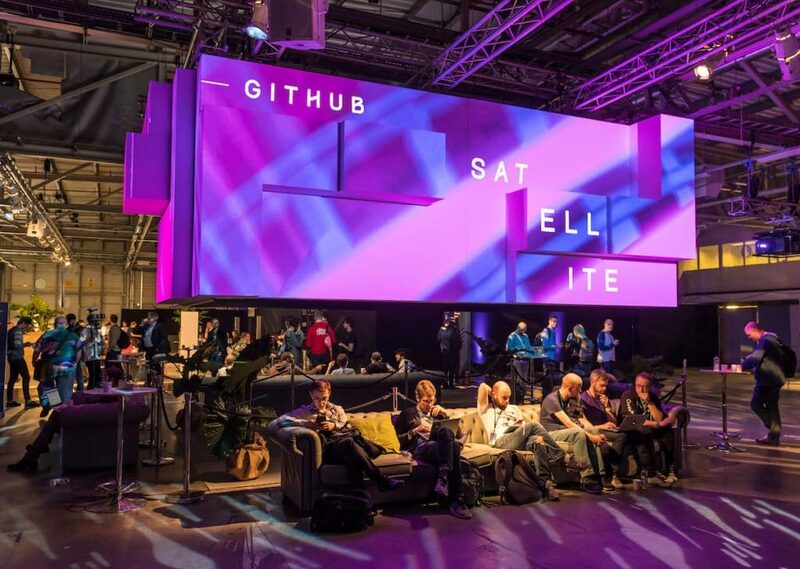 Held at Printworks London, 500 guests learnt how to bring together the people and tools they’d need to build great software, using the GitHub platform. They also experienced digital art installations, enjoyed some of London’s best street food and exchanged experiences with world-renowned developers. 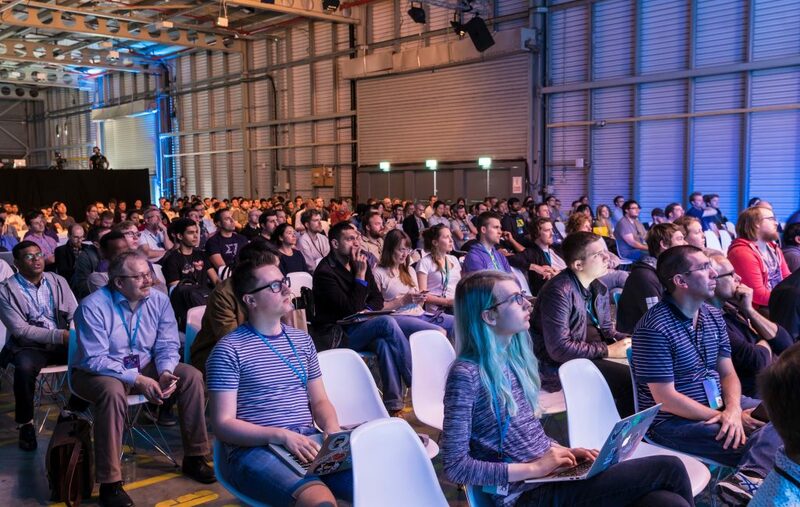 The daytime conference gave guests a chance to see what GitHub has been working on, and hear how other teams are using the GitHub ecosystem to customise the way they work. It all kicked off with coffee and unlimited waffles in HSBC, which was also used throughout the day as a secondary auditorium and gift shop. As the speakers prepared to start, guests made their way into Reel Storage, which housed the main conference. Speakers included GitHub CEO Chris Wanstrath, Platform Engineer Mark Tareshawty, Lead Engineer Jacob Tomlinson and Product Designer Kat Fukui. 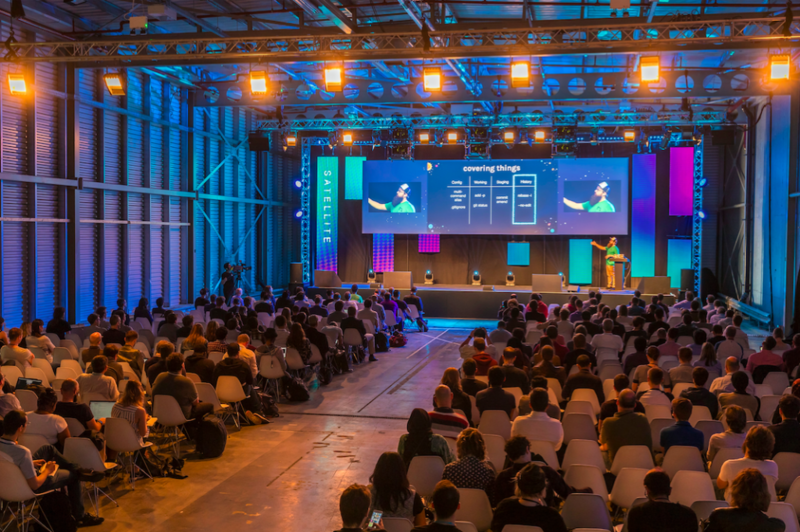 Zalando’s Producer/Agile Project Manager, Lauri Apple, Shopify’s Developer Infrastructure Engineer, Kir Shatrov and Codacy’s CEO, Jaime Jorge were also on the bill, alongside many more famous faces from the world of tech. In the Yard, guests discovered some of the capital’s top street food vendors, chosen from KERB’s curated crew of talented traders. There were burritos from Club Mexicana, Asian flatbreads from Luxury Flats, crab dishes from Claw, sweet waffles from Waffle On, Meatballs from The Bowler and coffees from Coffee Space. As the conference wrapped up, guests moved on to Hawker House, the largest of Street Feast’s London street food venues, for an after-party. "The best thing about working at Printworks London is getting to work with their in-house production team at Vibration. From the very beginning, Alex, Ella and Nadia understood my vision for the event implicitly and worked with me in lockstep to execute on it. Alex in particular is very creative, thoughtful, and intuitive– nothing was out of place, and he was flexible and receptive to my ideas (he even built a very realistic tree swing on the premises that attendees could enjoy throughout the day)." 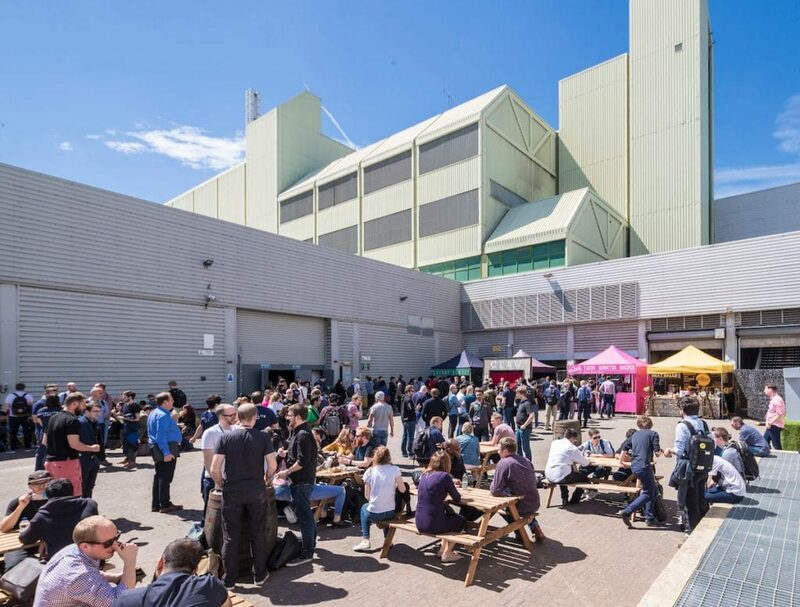 Like to Find out more about Printworks London?